This gorgeous brown leather album has a box made with the same brown leather. The front image is protected by a transparent plexiglass. 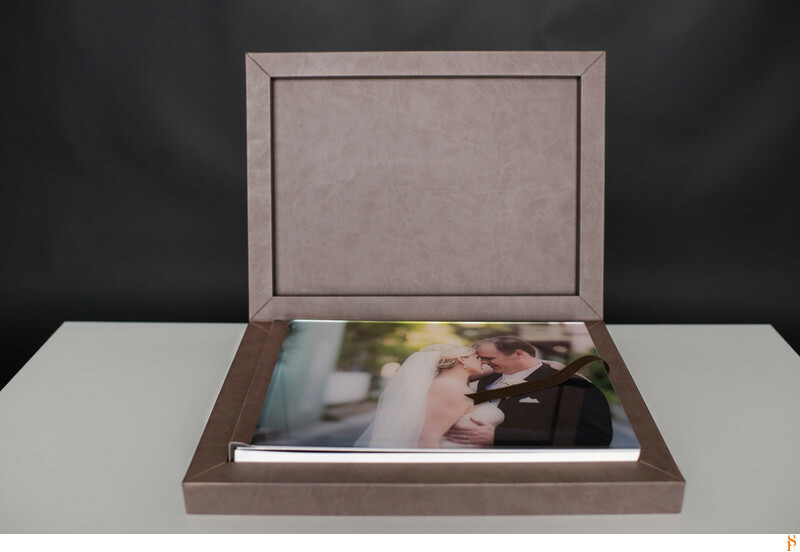 This wedding album has been hand made in Italy. Location: 1 King St, St Augustine, FL 32084.